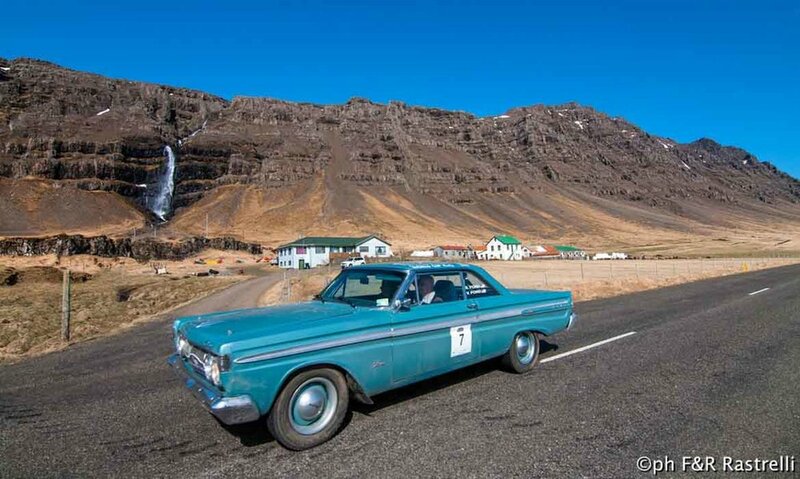 Comets and an Icelandic Saga — Automotive Restorations, Inc. The Call came months ago….Tim took the call and was excited to learn that a Mercury we’d restored for historic rally work, then looked after for years , was soon to be off on a new vehicular adventure. “Drop it off whenever works Si, and we’ll have a good look to be sure it is ready for Hero Rallies Icelandic Saga”. It in fact took several looks with a good bit of effort invested in understanding the rigors of the Hero sanctioned event to be contested on the diverse roadways of Iceland come late April 2015. Mud and snow tires were a must as was a car with not a screw unturned; all to be sure it would endure till the rally’s end. It was clear that this mission involved quite a few mountainous and rocky miles. Getting the car and a few spares there was another aspect handled by VRS crew & event organizers. With an approaching port shipment date to meet the pressure was on!! Tim and the VRS crew did all the preparation needed and were soon on the road to Portland, Maine for sea freight to Iceland. All went without a hitch. Yes, couldn’t resist this play on words as no hitch or flatbed was needed to see Si and Vicki’s Comet sighted on every leg of the Saga traveling under its own power. WELL. OK, one small glitch…our Comet churned up so much thick, ashy volcanic dust that the rally computer pickup needed some cleaning maintenance to stay functional but that’s was all the car ever required. Si’s “JOB DONE” post event E-mail on the last page tells the outcome best. Blue skies, blue Comet, no road ice yet, and the ride is GREAT!